The immersive internet service company Wakeone, part of the Valve family, and virtual reality thought leader Leonidas have joined forces. The merger creates a strong Finnish XR technology market leader pursuing growth also in Nordic and international markets. Operating under the Wakeone name, the company has about 50 employees and worksites in Helsinki and Tampere. The expertise, services and business models of Wakeone and Leonidas are complementary. The merger makes Wakeone one of Finland’s leading XR experts. Its services include, e.g., the Leonidas-developed XR Showroom product, which uses virtual and augmented reality to showcase a customer’s product portfolio in a new and memorable way in a multi-user XR environment. With the merger, Wakeone is also a more significant developer of web service applications, and it has a strong foothold in IT consultant markets specializing in B2B solutions. “The merger broadens our shoulders in many ways. Our technology expertise becomes stronger and we gain a foothold in what is for us new IT consultant markets. There is tremendous potential in our shared customer base. This is a great opportunity to learn from each other, and it strengthens our position as a true market leader in the sector,” says Wakeone’s CEO Tommi Palvimo. 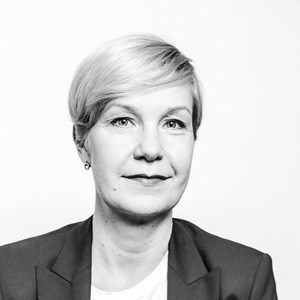 Leonidas was established in 2008; its co-founder and CEO Kari Peltola has been also involved in establishing the XR sector association VR Finland ry. The strong belief behind Leonidas’ operations has been in the integration of the internet and virtual as well as augmented reality and in the revolutionary development of internet services with the advancement of technologies. “The merger has clearly elevated us to a new category never before seen in the Nordic countries. Wakeone is now the only market player with a sufficiently deep view and the technological capacity to offer immersive internet end-to-end service development. This combination also has excellent prerequisites to internationalize and to become a significant player at the European level,” notes Peltola, who will be responsible for Wakeone’s services and related business operations. “The XR markets are poised for exponential growth during the next 3-4 years. The equipment introduced this year gives companies and consumers access to easy-to-use devices, so there is enormous growth expected in the XR content and applications market. In the first few months of this year we have already seen a significant increase in inquiries from companies,” says Leonidas co-founder Harri Lammi. “Sales and marketing have led the way in the implementation of XR solutions. The Wakeone and Leonidas merger makes us a major player for this growing demand. The new Wakeone has the capability and the vision to serve its customers even better – not only in XR, but also in application development,” continues Lammi, who is responsible for Wakeone’s sales.